The Serpentine Library: Show Him That You Love Him. . .
At the Mt. 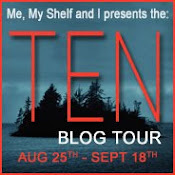 Kisco Public Library we love Megan Whalen Turner's Queen's Thief Series. We love Gen, Attolia, Eddis, The Magus, The Minister of War, Costis and especially Sophos. We love them so much that we want to share our ARC of A Conspiracy of Kings with you. On my colleague Deirdre's Blog we are hosting the Great Mount Kisco Library ARC giveaway! HOWEVER, all responses must be family-friendly (G to PG13). ALSO, you can only post once. If you enter more than once, we’ll have to disqualify you. You have from now until February 1st to post your entry. That way, you should get your ARC in time for Valentine’s Day! We think you’ll really enjoy it! 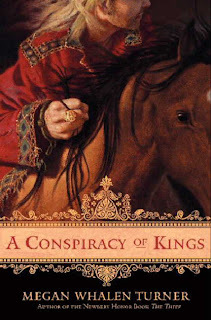 And if you don’t love Sophos now, you definitely will after you read the A Conspiracy of Kings!